1939 S.M.D. Manufacturing Company (Pty) Ltd established by Horace Dainty and Partners. Brian Austin's Tribute to Horace Dainty provides a excellent overview of S.M.D. together with the company's products, personnel and associate companies. 1960 In the early 1960s, the Barlow Group acquired S.M.D. Manufacturing Company (Pty) Ltd (SMD), that was located at 9 Young Road in Pinetown, and moved both the staff and the plant to New Germany where it became know as the Barlow Manufacturing Company Ltd (BMC). Barry Cooke, a founder member and senior director of S.M.D. Manufacturing Company (Pty) Ltd, was appointed Managing Director of Barlow Manufacturing Company Ltd.
1961 RACAL-SMD established - As joint venture between Racal Electronics and SMD. 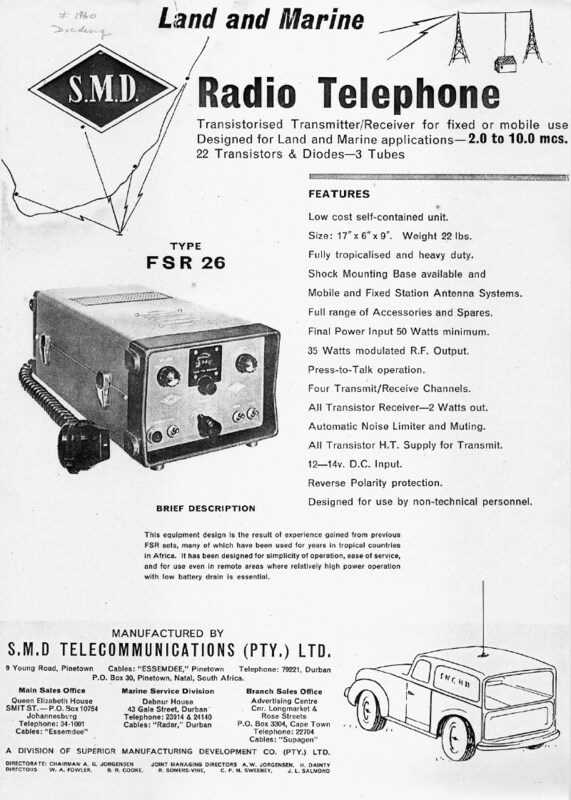 1962 Racal Electronics South Africa (RESA) established - Formerly RACAL-SMD. 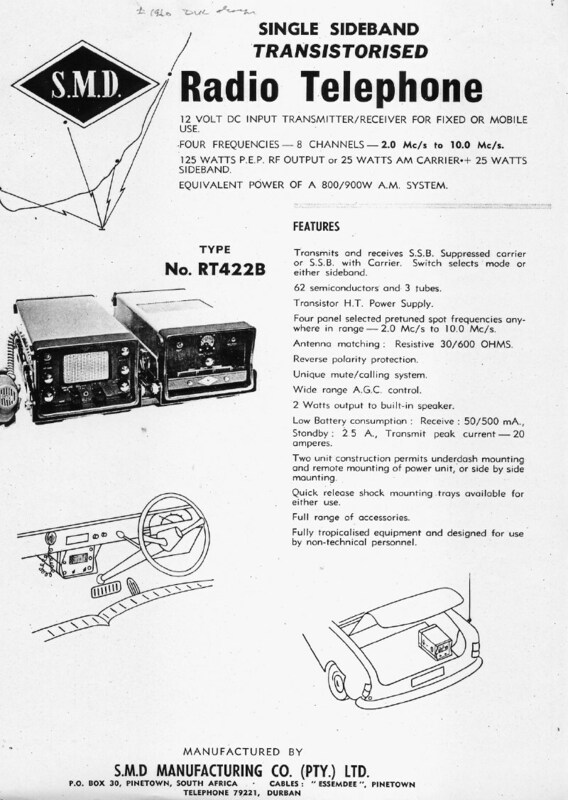 1965 Racal Electronics negotiates licence with RESA and starts development of ‘Squadcal’. Note: In the early 1960s, the Barlow Group acquired S.M.D. 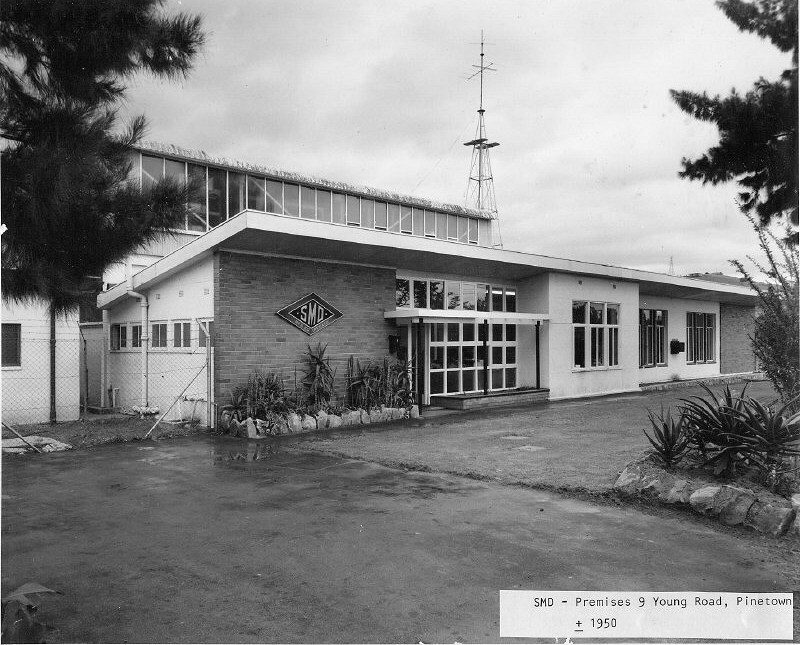 Manufacturing Company (Pty) Ltd (SMD), that was located at 9 Young Road in Pinetown, and moved both the staff and the plant to New Germany where it became know as the Barlow Manufacturing Company Ltd (BMC). Barry Cooke, a founder member and senior director of S.M.D. Manufacturing Company (Pty) Ltd, was appointed Managing Director of Barlow Manufacturing Company Ltd.